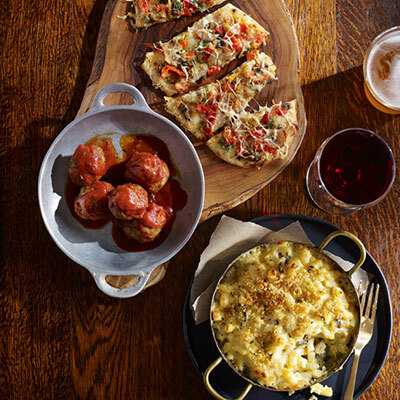 Beginning Tuesday, five D.C. Starburcks will offer a new evening menu with wine, craft beer and small plates, such as spinach artichoke dip with pita chips, truffle mac and cheese, flatbreads, meatballs, chicken skewers, truffle popcorn and bacon-wrapped dates. The coffee giant launched its evening menu in Seattle in 2010. It is now available in more than 300 stores in the U.S. and Canada. Starbucks has applied for alcohol licenses at 13 Northern Virginia locations as well, but they have not yet opened. 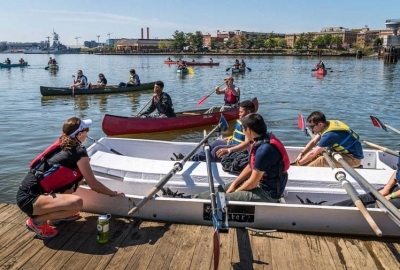 The five D.C. that will begin serving alcohol on April 12 are at Wisconsin Avenue and Idaho Avenue NW in the Cathedral Commons development; 1801 Columbia Road NW in Adams Morgan; 815 O St. NW at the City Market at O; 237 Pennsylvania Ave. SE; and 1000 H St. NW in the Grand Hyatt. 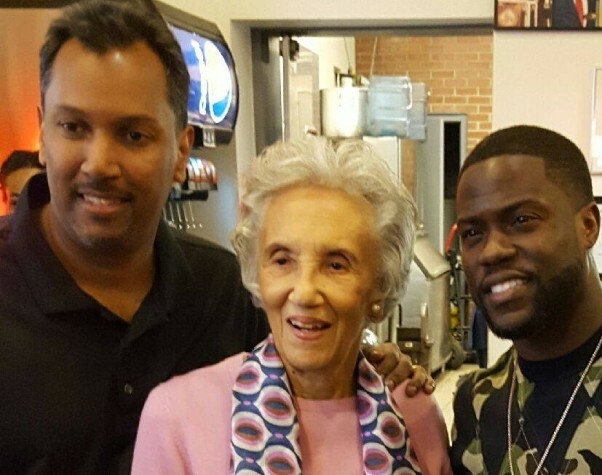 Comedian and actor Kevin Hart visited Ben’s Chili Bowl, 1213 U St. NW, on Tuesday. Hart was at the restaurant to tape a comedy segment for an upcoming show. He also took selfies with founder Virginia Ali, her family and employees. There’s no word on which show the segment was for or when it will be aired. Todd Gray’s Watershed, which had been in the Hilton Garden Inn, 1225 First St. NE in NoMa has closed and been replaced by the Garden Grille & Bar. 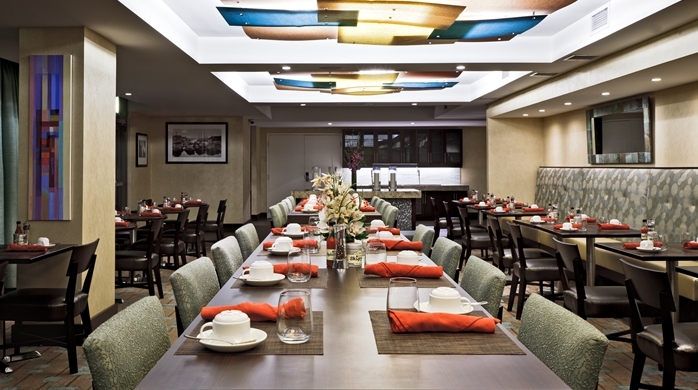 The dining room at the former Todd Gray’s Watershed in the NoMA Hilton Garden Inn. Gray, who also owns Equinox, is no longer affiliated with the restaurant, representatives for Gray and the hotel confirm. According to hotel staff, the menu remains the same for now, but the restaurant is transitioning to a new management team and new concept. There is a liquor license for a different, unnamed restaurant in the window. Watershed opened in 2011 in the hotel as part of NoMa’s Constitution Square development that also includes a Harris Teeter and apartments. It was the first sit-down restaurant in the area. However, Gray had less and less involvement with the restaurant overtime. A management company took over the operations of Watershed, but it maintained Gray’s name. Most recently, Joseph Paire was running the kitchen, but he is now the chef at Mulebone on 14th Street NW. Black’s Bar & Kitchen, 7750 Woodmont Ave., Bethesda, launched a new Sunday brunch menu. 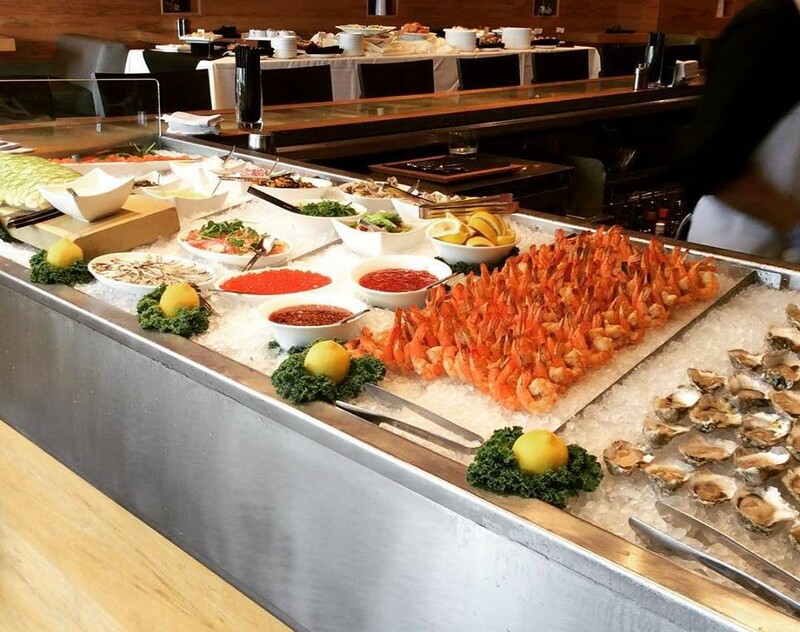 In addition to it’s $43 bottomless buffet ($55 with cocktails), diners can new choos “The People’s Brunch” and build their own unlimited brunch. Diners can build-your-own brunch by choosing unlimited access to the hot line with a prime rib carving station, omelet station, quiche, bacon, sausage, French toast, grits, vegetables and salads for $25, bottomless champagne and champagne cocktails for $18, the raw bar with oysters, clam, shrimp, mussels, salmon and more of $25 and unlimited desserts for $10. There are also new a la carte options, like an oyster Benedict made with cornmeal fried oysters, over-easy eggs and horseradish-choron hollandaise served on an English muffin with a haricot verts and arugula salad. New cocktails and “mocktails” have also been added. Brunch is served 11 a.m.-2:30 p.m. on Sunday. La Sandia in Tysons Corner Center is holding a guacamole festival from April 11-May 21. The festival will feature different guacamole dishes, each highlighting regional flavors. The chunky guacamole is made with avocados, heirloom cherry tomatoes, pickled pearl onions, radishes, roasted Serrano peppers, fresh lime, micro cilantro, cotija cheese and tlayuda; Guacamole Huarache features crispy chorizo, queso panela, roasted corn, radish salad and pickled jalapenos, while the sweet and sour guacamole has tamarind, piloncillo, fresh mango, caramelized pineapple, dry apricots and blood orange segments served with banana plantain chips. Finally the guacamole verde is made with agua chile sauce, shrimp, fresh jalapenos, baby cucumbers, pumpkin seeds, green garlic oil and pickled onions and served with cilantro tortilla chips. There is also a sampler with all four guacamole flavors served with mini tostadas, habanero salsa and tomatillo salsa. The guacamoles are priced from $11.55-$15.95. 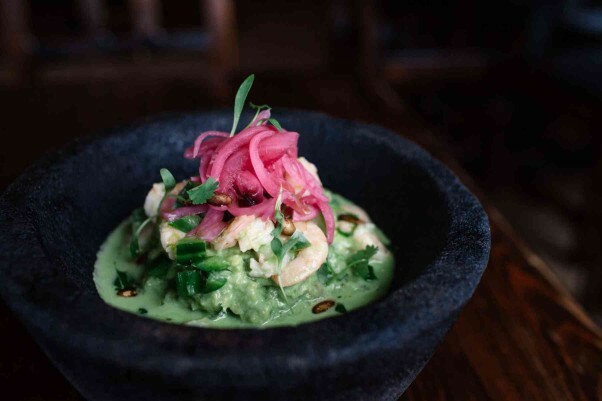 Diners who snap a picture of their guacamole and post it on Instagram using the hashtag #GuacFest16 and @LaSandiaRSR could win dinner for two with two house margaritas, one appetizer, two entrées and one dessert. The Royal, 501 Florida Ave. NW, will offer a preview of the restaurant’s new spring house vermouth with vermouth cocktails, porrons and shots set aflame at its monthly Royal Knights series from 9 p.m.-1 a.m. on Monday, April 11. Horus Alvarez, The Royal’s former beverage director, will return from Boston to guest bartend. Alvarez collaborated with bar manager Lee Carrel on the new seasonal variation on its year-round vermouth dispensed from a vintage fire extinguisher. 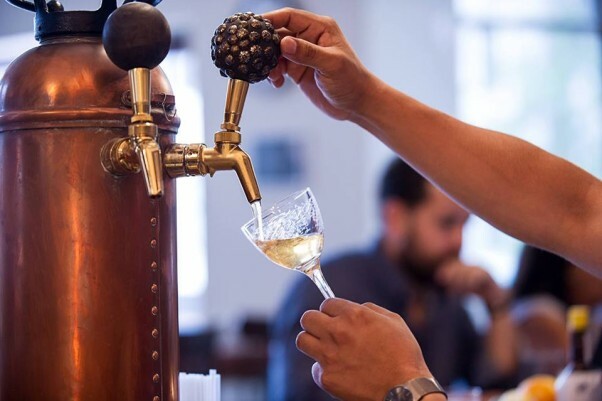 They describe the new vermouth as “more bright for the warm-weather season, with some fresh herbs, rhubarb and rosé wine.” The new offering officially launches in May with a barrel-tapping party after aging for several weeks in a 53-gallon barrel. There will be nine specialty cocktails for the night, highlighting unique French, Spanish and American-made vermouths. For those feeling bold, there will be the Vermouth en Fuego shot, a blend of Italian, French and American vermouths, 151 rum and spices, served on fire. 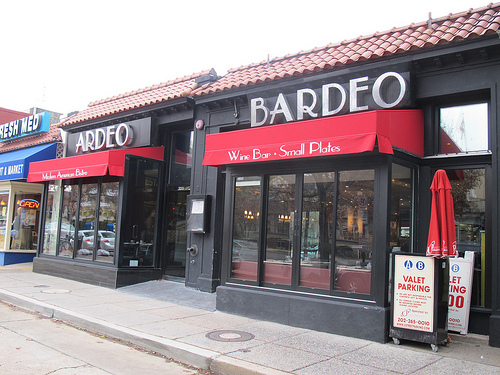 Ardeo+Bardeo, 3311 Connecticut Ave. NW, will host a kosher wine tasting on Wednesday, April 13 from 6:45-8 p.m. 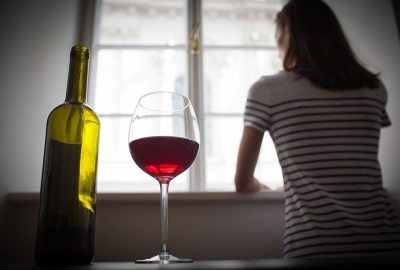 Guests will sample four kosher wines paired with two kosher hors d’oeuvres while they are educated on what makes wine kosher by Summer Whitford and representatives from Pearson’s Wine & Spirits, 2436 Wisconsin Ave. NW. The cost is $50 per person. 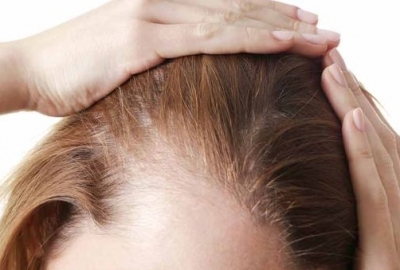 Reservations and prepayment are required. Attendees will receive a discount on any bottles of the kosher wine from Pearson’s Wine & Spirits purchased that night. Wines will be available for pick-up or delivery from Pearson’s. 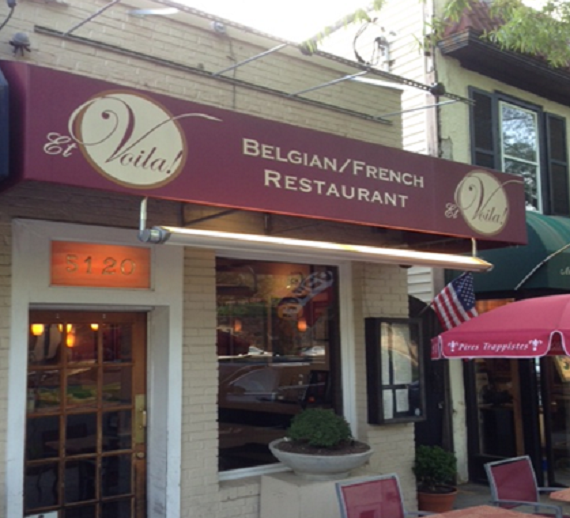 Et Voila!, 5120 MacArthur Blvd. NW, 20016, is continuing to offer special regional menus every Thursday evening from 5-10 p.m. in April. Each Thursday will feature a different region of French paired with a wine from the same area for $28 per person. Marseille, a port city in southern France, will be featured with bouillabaisse paired with a glass of Cotes de Provence. 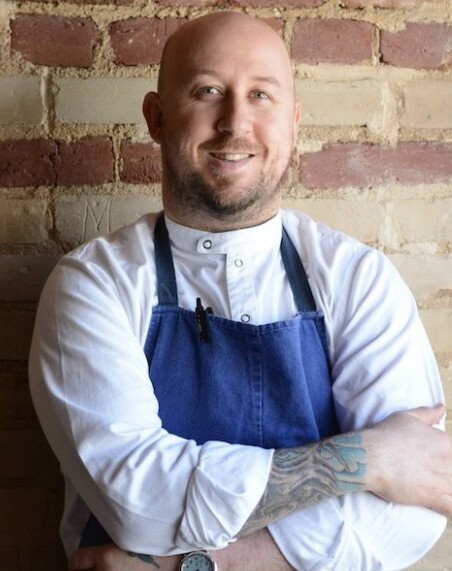 Nick Sharpe, 34, has replaced Kyle Bailey as the executive chef at Neighborhood Restaurant Group’s Birch & Barley, 1337 14th St. NW, and ChurchKey, the restaurant’s upstairs bar. A Rockville native, Sharpe had been preparing to open his own restaurant, Jolene, in Adams Morgan. He had held pop-ups and ran a Kickstarter campaign for the concept, but it fell through. He previously worked at Sonoma on Capital Hill and the now-closed Ba Bay. Before that he had been corporate executive chef for Michael Mina’s restaurant group, helped open RN74 in Seattle and both Wit & Wisdom and the shuttered Pabu in Baltimore before ending up at RN74 in San Francisco.